MCC WON OPENING LEAGUE MATCH BY 69 RUNS. 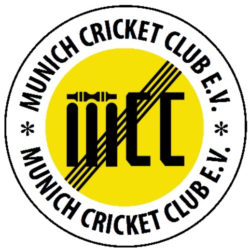 Mcc won the toss and is often the norm on a stinking hot Munich May day elected to bat first. With MICC opening bowler stuck in traffic Palfrey and Lovell got the innings off to a rattling start with 89 for the first wicket. Palfrey top scored with 39, Lovell went for 33 and Weston 36 as MCC subsided somewhat from a promising position after 30overs. Mcc finished with 209-9 off their full allocation, maybe not enough considering the start provided. Catches win matches they say and with good snaffles for Weston and Lovell to remove two good batsman it was always gonna be MCCs day in the field. Key Bowler though was Alex Gale with 2 wkts for 11 in his 8 overs with his right arm slow floaters onto the matting tape. There were also 2 victims each for Wright, Clare Rich and Weston P1 in a comprehensive victory for MCC. ALEX GALE 8overs 2-11. And turned up on time with a coffee cup in hand. Mcc lost 2nd league match by 19 runs. A pretty p1ss poor performance – perhaps a tad complacent – even with 5 changes from the opening league fixture. Having lost the toss Mcc missed a couple of catches in the field and bowled the normal feast of wides to gift the Sri Lankans unnecessary extra runs. Sundries being top score. That said 143 should never be a winning total. From a seemingly comfortable position at drinks MCC were quickly descending in their tri-annual collapse. Losing by 19 runs. But well played SSC. Next up are Lufthansa in a must win game which they will all be from now on in. Pods. And the teas were sh1thouse too. 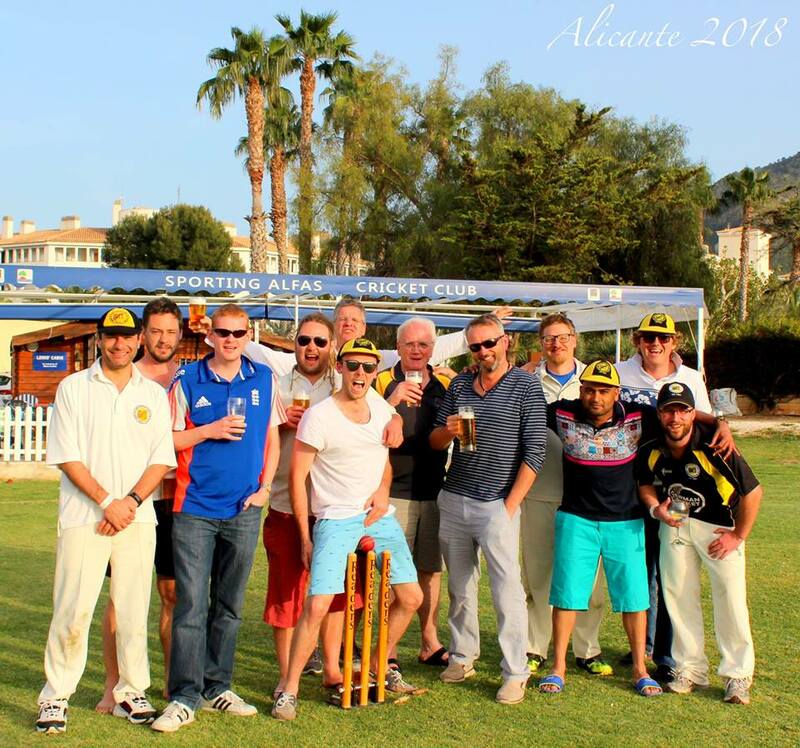 MCC got the league campaign back on track with a dominating lashing of Lufthansa. The toss was forfeited after the tardy arrival of the opposition due to the usual delays with the baggage. It proved a Kiwi run fest with Algar blazing a maiden league ton. Clare Rich chipped in with 33 before chipping a ball into his face and being rushed to the infirmary. Majid on league debut with 28 hit a few late large blows as MCC closed on 217 after 40overs. In reality the only danger were the elements and getting p1ssed on from a great height. However Lufthansa plummeted to 79-7 off 20 overs and decided not to bat on after the break due to poor flying conditions. MCC won by 120 runs v Campbell Invitation Eleven from London, England. see ZUOZ tour page 2008 for full details but great batting from Palfreyman and Clare Rich saw MCC to a very competitive total. Clare destroyed the London teams innings with 4 wkts in 6 balls before ending up with a deserved Michelle. Gale turned after securing a brilliant return catch off possibly their best batsmen. Clare Rich, great all round performance. Harsh on Palfrey but fair enough really for not wearing club cap while batting. Mcc won semi by 28 runs. see main Zuoz webpage for full details but another good batting performance with the enigma that is Gale top scoring well supported in valuable partnerships all through the batting list. Gale also starred with the ball including a fine catch running back into the swirling force nine gale. Mcc won by 2 wkts in a fantastic game of cricket. But would we say that if we lost? see main Zuoz tour page for full details but a epic close finish. Mcc won the toss and inserted the opposition who they had been stuffed by on the last two visits. Algar and Clare were the pick of the bowlers as Basel were restricted to 151 off 30overs. 3 fine catches from keeper Weston too. In reply MCC got off to a shaky start and were 75-5 at the halfway mark. Living on a prayer. A good partnership by the Kiwis Wilson and Clare edged MCC closer but at 142-8 the game was in the balance. Gale kept his heid before it came down to the last over with Bunty Blades on strike and just four to win. 2 off the first ball but then followed 3 dot balls. Gripping stuff. Who would keep their bottle? Another swing and a miss but a wicket keeper fumble too as the batsman tried to scamper a single to tie the game. But hang on what happened to the ball? Yes that red and sometimes round thing. It somehow hit the fckin helmet lodged behind the vocal keeper. 5 penalty runs and the game was won. Bizarre stuff. Couldnt have scripted it Richie. Marvellous. Clare Rich, Man of Tournament. Mcc won by 79 runs. Mcc kept their league title hopes alive with an ultimately convincing victory against the unpredictable Pakistanis of the Orient (POCC). Winning the toss Lovell had no hesitation in batting first in the blazing hot Johasenbergl heat. With temperatures in the 90s even the locals were getting hot and bothered. Lovell and Palfrey knocked up 52 for the first wkt before both fell disappointingly. Algar fell to a grubber and DI P holed out on the fence. Clare fell lbw before Gale and Weston put on 49th for the 6th wkt. Gale adjudged ct behind. Majid and Weston added another important 48th for the 8th wkt. Weston progressing serenely to an unbeaten 108 off 86 balls. Well supported in last man stand of 21 by Blades (0*). MCC finishing on a respectable 257-9 off their allocation of 40overs. It was clear to most cricketing sages that on a high scoring ground MCC would have to bowl out the home side..to defend that total would be nigh on impossible. All bowlers chipped in with wkts but at 170-7 off 25 overs the game was in the balance. Sear gained the vital 8th wkt with a good catch from Algar before Gale performed the last rites to improve his battered figures. A good all round performance. Something similar required in last league game v CCB with the BCV league title at stake allegedly. Weston unbeaten ton and wkts too. Due. MCC lost by 22 runs. MCC lost final league game to CCB by 22 runs. Losing the toss and fielding first MCC restricted the visitors to 150 bowling them out in the last of their 40overs. Gale was the pick of the bowlers with another economical spell. In a similar morgue scenario as to previous defeat to SSC, MCC never looked comfortable chasing these runs. Algar top scoring behind the prolific Extras. From 82-3 off 19overs MCC subsided to 93-7 off 29 overs and the game quickly slipped out of reach against a keen CCB side who held their catches and fielded better. The MCC then headed to the Chinese Tower to re-enact the morgue scenario and practise their off the ball touch rugby skills. MCC won by 67 runs. MCC went into opening 2020 fixture looking to avenge defeat in 40 over league game the week before. Winning the toss and batting always seems to help the MCC and this match was no different. Weston won the match for MCC with some large hitting, getting down on his knee and finding elevation by scooping the ball to the boundary. CCB will regret dropping him on 25 at deep mid off. He then made hay before becoming faint on 87. He was well supported in a century partnership by the erratic Palfreyman. MCC closed on an excellent 170 which MCC will never ever surpass on our home ground. Called it. Vienna Tourist Venkat enjoyed his home debut and was the pick of the bowlers. Also two wkts for Wright and another debutee Dan ‘Joel’ Garner. This week MCC take on POCC looking to top the group. Mcc won comprehensively by 69 runs. MCC and POCC were playing to top their 20/20 group and, more importantly for the MCC, avoid an away semi in Beirut or similar. MCC won the toss and obviously batted first. collapse. Cue a first innings collapse as MCC slipped to 17/3 as Lovell was out hit pitch, Westy skied one, and Fudge missed a straight one. The two Richs, Clare and Di Perna, steadied the ship and put on 46. Sear and Di Perna put on another good stand before both were caught by one of the 9 fielders on the boundary. The two Dutchmen, van Dalsum and van Giezen, then proceeded to mow an unbroken 46 off the last 4 overs to lift the MCC to 152/6. Skip decided to open the bowling with spin and dibbly dobblers a la NZ 1992 with Weston and Clare. POCC praps went too big, too early against the slower stuff and fell to 31/5 with Clare grabbing 3 and Weston 2. Spreadsheet. Not quite game over with some big hitters lurking down the order but Scott (1), Gibb (1), Sear and Garner (2) all then bowled well and were duly backed up by the fielders as POCC were all out for 83. Di Perna capped off a fine day with a stumping off Joel Garner to go with his two catches and 55. MoM. Di Perna. Marriage has praps given him a new lease of life. Mcc won by 18 runs. Mcc steamed into the final with a pretty convincing victory v SSC. Despite losing early wickets all around him Weston survived the carnage and mullered a lovely half century before leaving a straight arm ball. Wright with a match winning 23 was the only other batsman to make it into double digits. His duet with Barry Gibb ultimately proved the difference runs wise and their combo also reaped rewards with the ball. The opposition found themselves up against it early and lost wickets regularly. Gibbo had the outstanding figures of 4-13 with his dibblies – well supported by Wright with 2-11. SSC simply could not get these bowlers away in the middle overs after Weston and Venkat had tied things up early. Despite a late spell of bowling yips MCC held on to reach the final where they play POCC on Sep 27 in the English Garden. Jon Wright for all round effort. Runs at end proved the difference. It was made for Wrighty. MCC WON T20 BCV CUP FINAL BY 8 WKTS. MCC produced a clinical performance to see off Pak Orient in the T20 cup final at the Hirschanger. Losing the toss MCC were asked to field by Waqar on a lovely late Oktoberfest day. Pak Orient got off to a solid start and looked in no trouble at 20odd for no loss. Pak Orient then suddenly crumbled with wickets falling at regular intervals to all bowlers, backed up by keen fielding. The highlight was mid innings Dan Sears all bowled hat trick. Something I have never seen. All bowled all comprehensive. This left the Pak Orient innnings in tatters and they quickly subsided to 71 all out. In reply MCC were never in trouble and coasted to victory with Di Perna and Wright seeing them home to win by 8 wkts. MCC’s first cup title in a long time – see stats. Dan Sear, hat trick all bowled.